Protesters damaged rail tracks and vandalised the Maibang station on Thursday. Over 2,000 passengers in Assam were stranded as trains headed for Silchar and Guwahati were stopped midway amid an indefinite curfew imposed in the Maibang area of Dima Hasao district after two people were killed in police firing on Thursday. 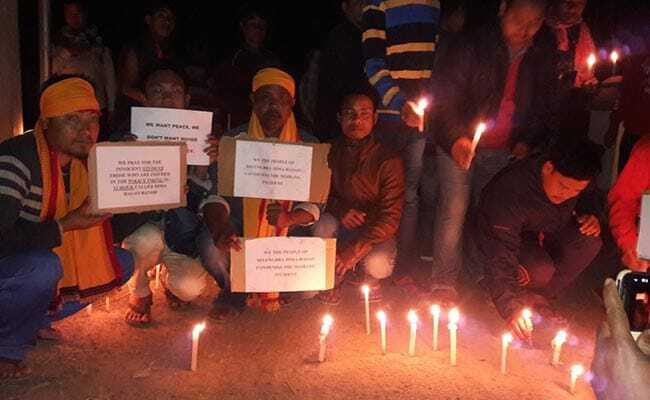 The two men killed were among the hundreds of Dimasa tribals who were protesting a media report that quoted a draft document by a Rashtriya Swayamsevak Sangh (RSS) functionary on the Naga peace deal where he suggested a separate development authorities for the Nagas in Dima Hasao. Many in Dima Hasao saw this as a bid to make the district a part of Nagalim when the police opened fire to disperse the crowd. The RSS leader Jagdamba Mall, however, told local news website Time8 that the contentious views were his personal opinions and misrepresented as those of the RSS, the ideological mentor of the ruling BJP. Southern Assam, Mizoram and Tripura are totally cut off due to this agitation, said Pranav Jyoti Sarma, Chief Public Relations Officer Northeast Frontier Railway. "The passengers have been waiting at the stations for more then 24 hours now. Railway property was vandalised and permanent damage caused to track. We can't run trains till we are sure of the safety of the track. So we are trying to evacuate passengers by road," he added. Protesters took out a silent rally yesterday carrying bodies of the two persons killed in police firing. Last evening, protesters took out a silent rally carrying their bodies in Haflong, the headquarters of Dima Hasao. A 48-hour bandh in Dima Hasao district was also called by several tribal groups to protest Thursday's police firing. As the region remains tense, the protesters are demanding the government's stand on the Nagalim issue in the context of the hill district in writing. They also want immediate suspension of the top police officers besides jobs for the family members of the dead and Rs 5 lakh each for the 10 injured in police firing. A 12-hour bandh called on Thursday turned violent after police charged batons ti disperse protesters clashed at the Maibang railway station. 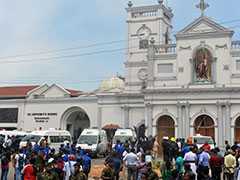 The protesters damaged rail tracks and vandalised the station after which several protesters were injured in police firing. Two of them died over the last two days. The Republic Day celebrations in Haflong were low key and wrapped up after the unfurling of the tricolour. "The death of two protesters is rather unfortunate but police had to resort to firing. The situation is tense but we are in control and, in fact, Republic Day was celebrated there," Assam Director General of Police Mukesh Sahay told NDTV. Meanwhile, an FIR has been filed against the police personnel involved in firing.